A reputation for providing personalised service with professionalism and integrity has established Melbourne Nursing Agency as once of the most respected agencies in Melbourne. Melbourne Nursing Agency's Mission focuses on members and clients in three related ways. Our aim firstly is to provide nursing and support staff a quality alternative to permanent work. This alternative provides members of the Agency with the opportunity to work flexible hours, to have diverse clinical experience and control over their careers. Melbourne Nursing Agency provides quality staff to client hospitals and health care facilities on short term, extended and permanent basis in order to meet their staffing shortfalls. Ultimately, members of Melbourne Nursing Agency assist patients and clients, the end users of our services, to achieve optimal health outcomes. 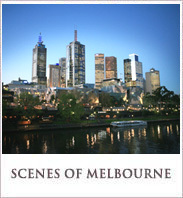 Melbourne Nursing Agency provides personal service to its members and clients. Knowing our member's skills, experience and clinical preferences allows us to appropriately allocate our members, and contributes to member and client satisfaction with the services we provide. This is supported by our commitment to operate and refine our management systems based on ISO 9001:2008. Melbourne Nursing Agency strives to meet the member's career needs and preferences on every occasion. Health professionals who choose to develop a close relationship with Melbourne Nursing Agency find that they have the freedom to flexibly manage their own careers whilst receiving excellent benefits, education, training and professional support. We truly listen to what is important to our members and have structured the management of the Agency accordingly. The opportunity to work with an organisation, which has an excellent reputation and with which you can be proud to be associated. You are always welcome to call in and discuss your professional needs and have coffee with us. Heather Stevenson, the director of Melbourne Nursing Agency, has 23 years nursing experience. Heather has worked in Metropolitan and rural areas, public, private, community and aged-care settings. In the last decade Heather has worked primarily in nursing education, management and human resources. These experiences combined with extensive tertiary education underpins Heather's sound understanding of nursing in Melbourne, the needs of nurses and the client hospitals.